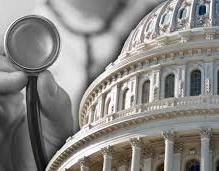 Can Obamacare be repealed, in its entirety, through the budget reconciliation process? Some Republican leaders were hopeful that they would not be forced to answer that question. With a decision in King v. Burwell looming, it became increasingly clear that they planned not to keep the promise they had made in their budget to use reconciliation to repeal Obamacare. Instead, they would use it for some kind of response to the expected decision. In that environment, questions about the feasibility of repealing Obamacare using reconciliation were put on the back burner. But with the Supreme Court’s unexpected and indefensible ruling on King v. Burwell, Republican leaders are expected to return to their initial promise.